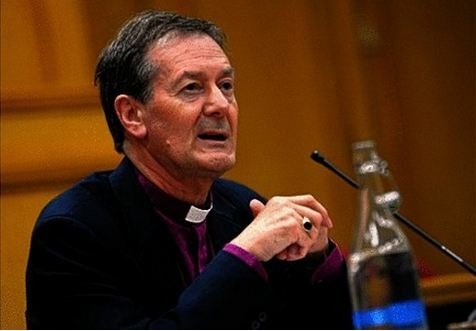 The Lord Bishop of Derby Dr Alastair Redfern, has invited a small group of commissioners to meet on five occasions to enquire about expert evidence around key themes and challenges facing Derby. The first session, which explored UK wide issues, was held in the House of Lords on Monday 25th June and subsequent sessions will be held in various locations around Derby in Summer. The commission will end with a symposium in the autumn providing together key learnings and any recommendations for future actions. The commission is to investigate issues and opportunities in our city of Derby, and to offer a response in terms of some ‘signposts’ for the future. Teenagers need be shown that there is no shame in dreaming – and the city should raise its own ambitions – according to a commission established to discuss challenges facing Derby. The Bishop of Derby, the Rt Rev Alastair Redfern, set up the Redfern Commission at the House of Lords in June. The aim was to bring together a panel of people from business and cultural organisations in the city to learn about the work of, threats to and opportunities in various sectors of the community. The panel, made up of high-flyers from the city, has heard from “witnesses” in eight main areas of business, education, crime, community, cultural and social research, housing and health during the past three months. And yesterday saw the final meeting of the commission which pulled together conclusions and set out various pointers as to how the city and each individual within it could perform better. The conclusion reached by the majority of the commissioners was that the city needed to have greater aspirations, more ambition and stronger leadership at every level – from young to old, individuals to huge businesses. Keith Jeffrey, Chief Executive of QUAD, was also on the panel. He said that the key to raising ambitions was strong leadership. He drew up a list of “Redfern Rules” which he said every leader, whether it be the chief executive of a company or a team leader in a voluntary group, should ask themselves to make sure they are being the best they can be. Liz Fothergill, managing director at Derby-based medical supplies exporter Pennine Healthcare, said that inspiring the next generation needed to start early and involve getting more businesses in the city to show children what opportunities there were. The final commissioner, Kavita Oberoi, of Oberoi Consulting in Pride Park, said she felt the key word was “purpose” and that people needed to have a sense of purpose. She also said she had been struck by the fact there were more than 1,000 voluntary groups in the city and wanted people to do more to support them. Yesterday’s audience at QUAD featured Mid Derbyshire MP Pauline Latham, Mayor of Derby Councillor Lisa Higginbottom and the Chief Executive of Derby City Council, Adam Wilkinson. Mr Wilkinson was among the first to pledge action on the back of the commission’s findings. He responded to points raised by Mr Brown who stated that the city needed to establish a clear vision statement which was ambitious and would say what Derby wanted to be in the future as well as what the city would like to be known for. Mr Wilkinson said the city already had a vision, as part of the city council’s Derby Plan, but admitted it was not distinctive enough. He therefore agreed the authority would revisit it and aim to have a new vision statement by spring. And Mr Wilkinson also stated: “After listening to the points raised by Kavita, we would be happy as a council to signpost the Localgiving.com website on the city council’s home page.” The Bishop said he had been hugely encouraged by the way people had contributed to the commission. He added: “This commission was a great success and showed huge interest from across the city in terms of coming together to explore how best to develop the quality of life for all our citizens. Here, each of the commissioners provide their own opinions on how to respond to the issues raised during the commission hearings. I’m perceived to be a leader in my sphere of influence and beyond. I’m ambitious – good is not enough. I benchmark my work against the best. I reach out beyond my sector to develop significant and beneficial partnerships. I make decisions based on a clear, long-term vision. I make a difference for Derby and its communities. Mr Brown wants to raise ambitions in the city and, to do that, he wants a “vision” statement for Derby which sets out what the city wants to be. Secondly, he wants to celebrate what the city is and feels one way could be through a Derby Honours Scheme to celebrate entrepreneurs, voluntary groups and others making a contribution to the city. Mr Coyne said he had been struck by evidence heard during the commission meetings which said that some young people were embarrassed or afraid to have ambition. He said that stigma needed to be removed so that young people had the confidence to aspire. “We need to give people the confidence to aspire. That will lead to us being a more confident city.” Mr Coyne also said Derby needed to be more focused on outcomes instead of on structures and policies and that leadership needed to be strong. He said the university would therefore explore ways to assist people to become better leaders. She believed Derby needed to raise aspiration and self-esteem, particularly in disadvantaged young people. One way to do that, she said, was to form strong partnerships between schools and businesses so young people could see the opportunities available in Derby. “We need to start early,” she said. “Some children have no knowledge of work, they don’t know what’s expected, they don’t know they have to be there at a set time in some cases. Twinning different neighbourhoods in Derby has been put forward as a way to improve the city’s poor and migrant residents. The idea of combining city suburbs in the same way as twinned cities was suggested at the last in a series of meetings chaired by the Bishop of Derby, Dr Alastair Redfern. The sessions – called the Redfern Commission – have invited city leaders to talk about issues facing the city. At yesterday’s meeting, Andy Thomas, head of city and neighbourhood partnerships at Derby City Council, suggested the pairing of areas in Derby as a way of making marginalised residents feel less isolated. Mr Thomas described Derby as a growing city and with more than 180 different nationalities living together. He said: “If you look at all the areas of Derby which see high levels of crime, of drugs, of deprivation, it forms a kind of C shape. You have Chaddesden, Derwent, Arboretum, Normanton, Sinfin and Allenton and these have been the same deprived areas for decades. “One idea we could look at is twinning neighbourhoods. You have twin cities, why not neighbourhoods? It is about a sense of being part of a larger neighbourhood.” The participants of the discussion included Bishop Redfern, self-made millionaire Kavita Oberoi, Derby City Councillor Hardyal Dhindsa, Quad chief executive Keith Jeffrey and Dave Bullock, of managing director of Compendium Living, which is developing the city’s Castleward project. The Redfern Commission was launched at the House of Lords in June to explore opinions on issues affecting city life. Yesterday’s meeting – held at Oberoi Consulting, in Pride Park – covered a variety of issues including healthcare, housing and neighbourhood. Mr Dhindsa told the gathering that the city could be improved by bringing nature to the city centre. He said: “We need to bring the shire of Derbyshire into the city centre, to engage this idea of our city, our river. This will enable people of every neighbourhood to feel part of the same place.” Bishop Redfern added that volunteer groups like Derby’s Street Pastors, who patrol the city centre streets to take care of late-night revellers, were key to improving city suburbs. He said: “There are some excellent volunteer faith groups and we want to see these working inside the bigger issues like the need for jobs and so on.” A conference will be held next month to discuss the conclusions of the series of talks and to plan the next step. The Bishop of Derby will chair the final in a series of meetings exploring issues affecting Derby. The Redfern Commission was launched at the House of Lords in June to explore opinions on issues affecting city life. A symposium will be held next month to discuss the conclusions. The next meeting tomorrow covers healthcare, housing and neighbourhood. The Bishop of Derby will chair the third of a series of meetings exploring issues affecting Derby. The Redfern Commission was launched at the House of Lords in June with the aim of holding meetings in Derby where specialists in certain areas would give opinions on issues affecting city life, such as business and crime, to a panel of “commissioners”. A symposium will be held at the end of the year to reach conclusions. The next meeting is tomorrow and will cover culture and social research. The Bishop, the Rt Rev Dr Alastair Redfern, said: “The first and second hearings of the Redfern Commission were very well received and has generated fantastic discussions across the city. The meeting, which is open to the public, will be at The Box, at the Quad, in the Market Place, from 4pm to 7pm. Transcripts from the hearings can be viewed on the publications page at http://redferncommission.com. I was lucky enough to be invited to sit as an expert witness on the Redfern Commission, set up by the Bishop of Derby, which is looking at problems which face the city. Even though I am vice-president, governor of the university, trustee of Derby West Indian Community Association and a member of Sinfin and Osmaston neighbourhood board, and used to being involved in change-making processes, it was still very daunting. Especially knowing that I would be on the witness panel with other Derby educationalists. When it came to the event, I have to say I was completely blown away by how far-reaching and exciting it was and what an honour it was for me to be involved in something that had a stake in the future of the city I love. I decided to focus on my own experiences within the witness statement and close with some recommendations. I talked about how my time in education had been very mixed, with a very enjoyable experience at primary school level, followed by a difficult time throughout secondary education and the present day, where I am a mature student at the University of Derby – an institution that I will always hold in high regard because of the investment it makes in people like me throughout the city. Much of what I raised was around how I believe that many secondary schools (my own included) do not deliver for young people when it comes to raising aspirations. If I spoke to any 11-year-old child anywhere in the country about what they wanted to achieve in life, I imagine that their imaginations would run wild and they would see no limit to what they can achieve. In contrast, if the same is asked of a 15-year-old, the likelihood of the same aspirations being present is slim. This could obviously in some part be down to the young person maturing in outlook. But, when this is coupled with many other statistics – such as 50% of young black males are unemployed; in higher education, the attainment gap between black and minority ethnic students and their white counterparts is at 18.5%, and children born into poorer socio-economic families are up to 50% more likely to end up unemployed in their 20s – it is clear that something is going wrong. Another suggestion that I put across to the commission was that schools, colleges and the university within Derby need to start to recognise themselves as citizens of the wider city and, with this, they need to ensure that they are working to try to solve some of the wider issues within the city. Educational institutions should have a seat at the table when all city issues are discussed. Strategic directions should be built with aspirations in mind, building on these and turning them into goals and reachable targets is the key to inspiring young people. Communities should also work to ensure learning is at the centre of everything. When I consider Sinfin, the area I grew up in, the centre of the community is the Asda supermarket. This in itself is not a bad thing – it is a large employer in the area and a convenience for local people. Sinfin Library is located within 100 yards of the superstore and, sadly, it is a sorry sight. People approaching it are met with the sight of a rundown, boarded-up chip shop and a dark and foreboding covered footpath. Is this the kind of environment conducive to learning? If this is a young child’s first encounter with a library, is it any wonder it is somewhere they avoid as a teenager? The library and its surrounding area should be seen as the civic centre of that particular area, it should be a place where young and old alike feel comfortable to go and learn. This is in stark contrast to the library in Derby’s more affluent areas, such as Allestree Library, which is a bright and inviting building. I am also a firm believer in empowering young people, as part of this I am an advocate of votes at 16. If young people are expected to make decisions about their future at the age of 16, they should be able to vote and have a say in local and national policy. It is no coincidence that many parties unfairly target the young in their manifestos – if a group has no voice, how can they express themselves and be expected to have self-belief? Along with this, schools need to put a bigger emphasis on citizenship training, awakening young people’s desire to have a say and build a better Derby. Derby is a manufacturing city and has several large employers that take their workforce from within the area. This, it is said, has meant a lack of entrepreneurial spirit. With the landscape in higher education being evermore turned into a market place and universities like Derby being measured on students entering graduate employment and not setting up enterprising businesses, it seems to be something that, unless aspirational behaviour is instilled from a young age, is set to continue. The citizenship argument used around educational institutions is still valid with local business. If there is a desire for a skilled workforce here in Derby then companies need to be involved in the processes that nurture that talent. Young people will not necessarily desire a career as a graduate engineer but, if one of our large businesses is visible in schools, creating opportunities in all areas of the city, then I believe that everyone will benefit. At the commission, I was asked by Professor John Coyne, vice chancellor at the University of Derby, what I would do if I had a magic wand. The answer took some thought but it is simple from me, I would encourage children to learn, though not just because a school says they should but because they want to. A child cannot learn unless they understand why they are learning. What can start as a six-year-old with a dream can develop into a 13-year-old with an aspiration and, in turn, it can become a 21-year-old with a goal and a future. The Redfern Commission is fantastic for Derby and I am confident that its findings can help to build a future for our city that is one of which we can be proud. Organisations across the city need to “work in partnership” to ensure fewer young people commit crimes and the risk of reoffending is reduced. That was one of the conclusion’s after three experts in their fields spoke on crime during the second hearing of the Redfern Commission yesterday at the University of Derby. The commission, set up by the Bishop of Derby, the Rt Rev Dr Alastair Redfern, is about starting conversations between people to see where the city’s challenges lie and how they can be overcome. A panel of “commissioners”, including Keith Jeffrey from Quad, Richard Brown of Eurostar, Liz Fothergill, from Pennine Healthcare, businesswoman Kavita Oberoi and Dr Redfern, took evidence from the experts. They were David O’Sullivan, of Derbyshire Probation Trust, Superintendent Gary Parkin, of Derbyshire Police and Nicola Dalby, of Safe and Sound, which helps young people at risk of sexual exploitation. Mr Parkin said: “The city is in its 10th consecutive year of crime reduction, with 40% of all crimes detected. “It has many of the problems of other cities but we also have some very good strategies in place for dealing with crime, reoffending and delivering restorative justice. Mr Jeffrey told the hearing that “prevention was better than cure” and that reoffending was reducing through training and work opportunities and effective drug treatments. Ms Dalby agreed that prevention was top of her list but she said she also wanted to raise awareness of where young people could get help if they were being sexually exploited. She said: “Derby is ahead of the game when it comes to protecting and helping these children and information sharing among different organisations is useful. Also under the spotlight was the issue of community and evidence was given by music producer Baby J, who works with disaffected youngsters, Dr Phil Henry, director of the Derby Multi-Faith Centre, and Kim Harper, of Community Action Derby. They agreed communities needed to feel ownership of their areas to be involved and to have spaces and venues to develop in. The next commission will discuss culture and social research at the Quad, in Derby on Tuesday, September 4, from 4pm. Crime and community issues will be explored in the second Redfern Commission meeting tomorrow. 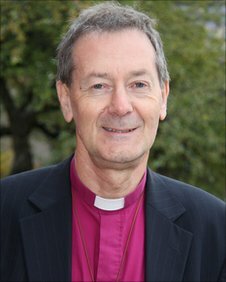 The Bishop of Derby, the Rt Rev Dr Alastair Redfern, set up the commission to start conversations about some of the challenges facing the city. A panel of commissioners, made up of high-profile people from business, community and educational fields, listens to information from various experts. At the first meeting, the deputy managing director of Toyota talked about business while the vice-president of the University of Derby’s Student Union spoke about the education system. Tomorrow, from 4pm to 7pm, the topics under discussion at the Court Room at the University of Derby will be crime and community. Representatives from the police, the probation trust and a charity will take part. The witnesses are Kim Harper of Community Action Derby, Dr Phil Henry from the Multi-Faith Centre and Baby J, an internationally-renowned record producer who supports marginalised young people in Derby. STRONG and iconic leadership is the “magic wand” needed to take Derby and its educational system forward. That was the theme which came out of the opinions of a host of experts in their fields who spoke at the first meeting of the Redfern Commission. The commission, set up by the Bishop of Derby, the Rt Rev Dr Alastair Redfern, is about starting conversations between people to see where the city’s challenges lie and how they can be overcome. A panel of “commissioners”, including Keith Jeffrey from QUAD, Richard Brown of Eurostar and John Coyne from the University of Derby, heard the opinions of people about business and education during the meeting hosted by the university. David Williams, chairman of law firm Geldards, highlighted the challenging times for businesses in Derby. When asked by the panel for his “magic wand” solution, he said it would be an inspirational leader. It was a suggestion which came at the end of an hour-long discussion exploring Derby’s shortage of start-up businesses and skills in the city, despite the success of large companies like Rolls-Royce and Toyota. Mr Williams said the success of such companies had stifled entrepreneurial spirit. “Derby has been protected by substantial industries who have carried on employing people in Derby quite comfortably. Derby lacks entrepreneurial spirit because it has never had to have it,” he said. The importance of leadership was raised in the second commission topic focusing on education. Speaking to the panel, Mohammed Sharief, of Normanton training organisation JET, said schools needed strong leaders. Mr Sharief said the city council had lost experienced educational experts during cutbacks and that people with their knowledge needed to be brought back to the city. Liz Coffey, head teacher of Landau Forte College, said she wanted to see more confidence in the city. She said: “Derby is starting to believe it can be better than it is. Twenty years ago when I came to Derby, it did not feel like that at all.” Also speaking were Tony Walker, deputy managing director of Toyota, and Rachel Hayward of Community Enterprise in Derby. THE spotlight will be on education and business in the first hearing of a special commission set up to search for solutions to the challenges Derby faces. 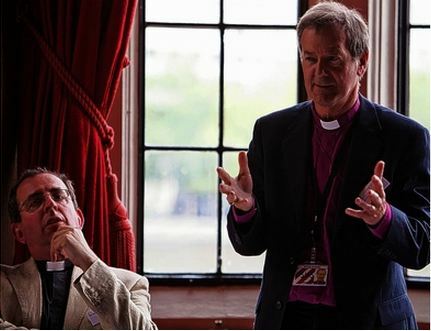 The Bishop of Derby, the Rt Rev Dr Alastair Redfern, launched the commission in the House of Lords last month. The aim of the Redfern Commission is to bring key representatives from areas such as business and crime, to talk to a panel of commissioners about the problems in the city. Following a series of such hearings, a final meeting will take place to see what solutions and conclusions and can be found. The first hearing will be held at the University of Derby tomorrow and will focus on the areas of business and education. Commissioners will include Professor John Coyne, the University of Derby vice-chancellor, QUAD chief executive Keith Jeffrey and Eurostar chairman Richard Brown. Prof Coyne said: “I thought the launch of this commission was very timely, not least because we have quite a few challenges as an economy nationally. I think we are at a point where, as a city, we need to have an opportunity to gauge a sense of identity and our sense of confidence. Witnesses to be called to tomorrow’s hearing include the Deputy Managing Director of Toyota, Tony Walker; David Williams of Geldards; and Rachel Hayward of Derby Social Enterprise. For education, it will be Dom Anderson, who is vice-president of the university’s students’ union, and Mohammed Sharief, of Normanton training organisation JET. Dr Redfern said their perspective would provide a useful insight. He said: “The Redfern Commission for Derby was launched successfully in June and we are now at the next crucial stage. “I am delighted that Professor John Coyne and Richard Brown will take evidence at the first hearing. With Mr Brown’s renowned international business experience and Professor Coyne’s education background, which includes economics, the hearing will generate some fascinating insights into Derby. The first hearing will be held between 4pm and 7pm. The following meeting will be on the topics of community and crime, and will be held next Thursday. Hearings will be held throughout September, looking at other areas such as culture and housing, before the final meeting later in the autumn.